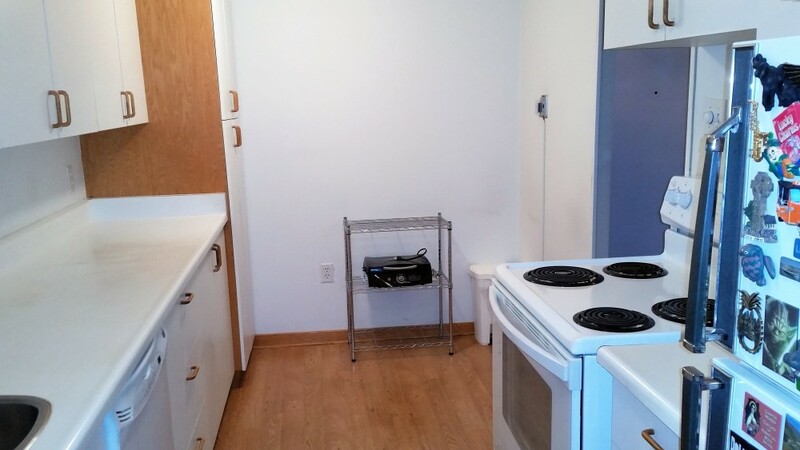 Your new kitchen will make your cooking experience an incredibly enjoyable adventure. 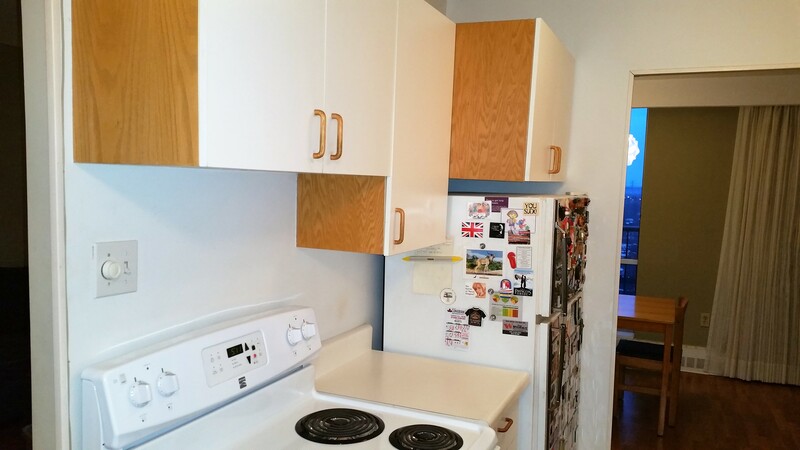 This galley kitchen features loads of cupboards space, including pull out drawers, pull out shelves, a ceiling fan and amazingly, a dishwasher. 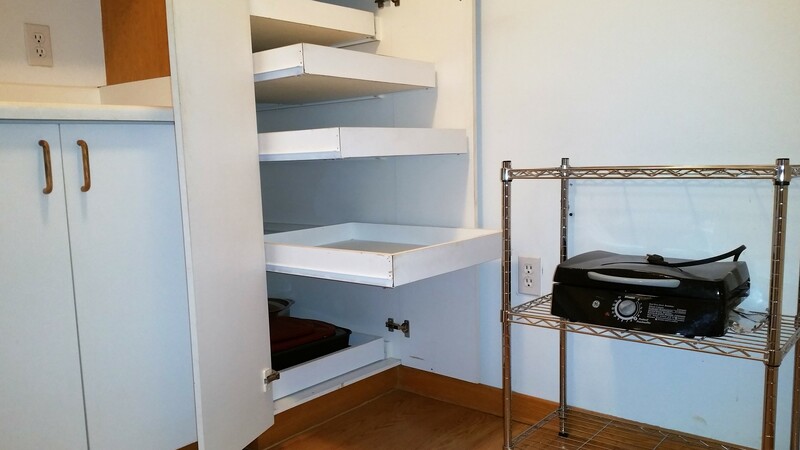 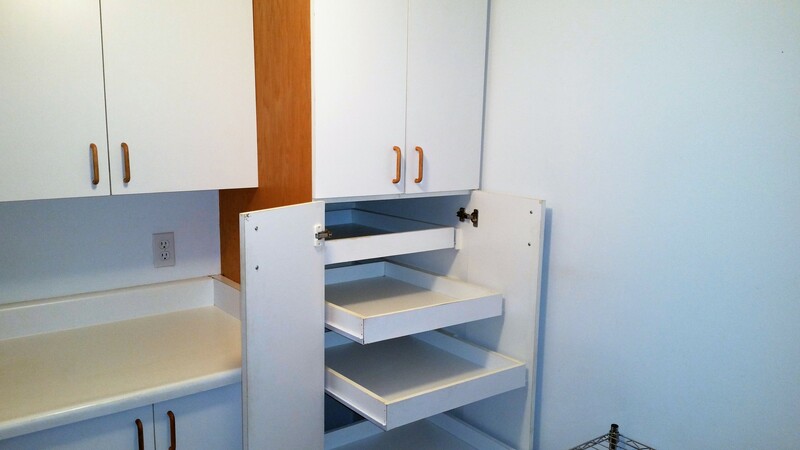 In fact there is so much storage space here that a trip to IKEA may just be in order to fill these cupboards. 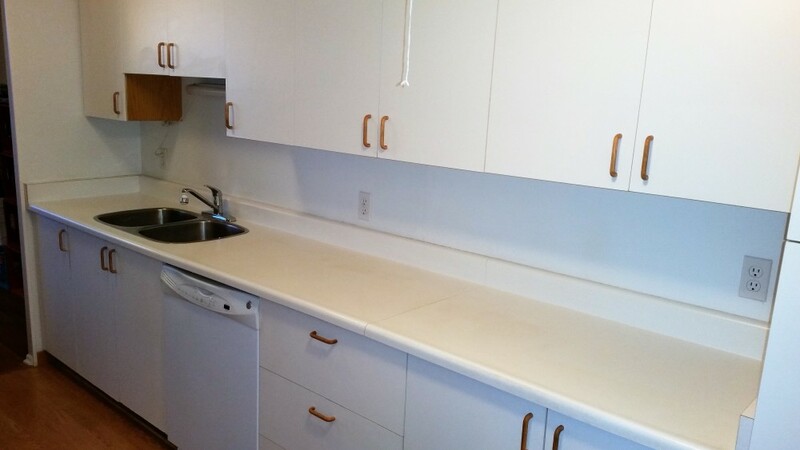 A long counter top lines one side of the kitchen with a double sink. 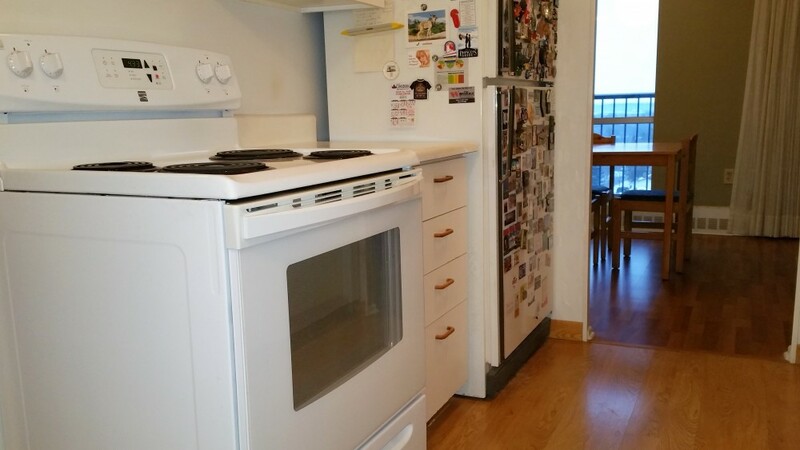 The opposite side of the kitchen has a very convenient small counter top between the fridge and stove. 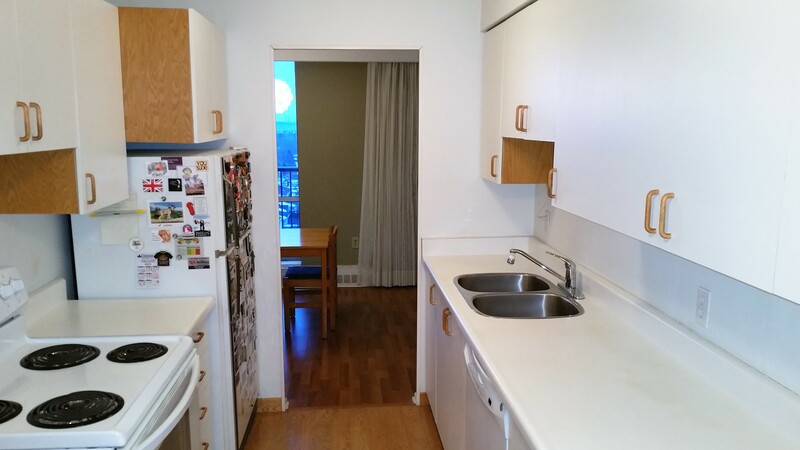 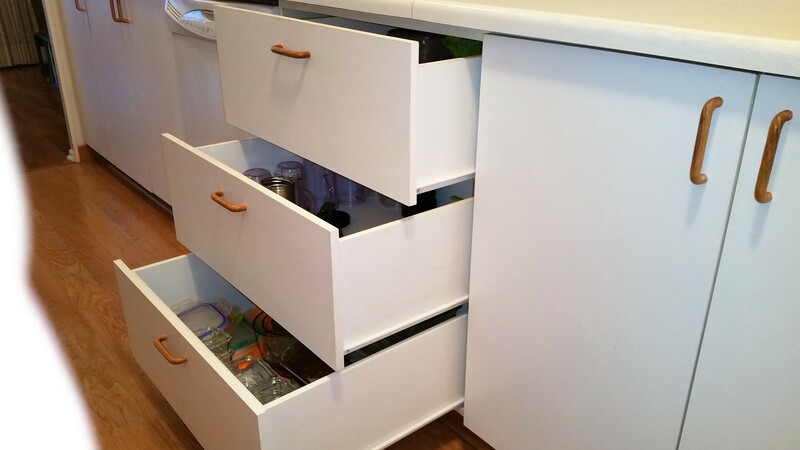 A dishwasher, a double sink and seemingly endless and convenient cupboards. 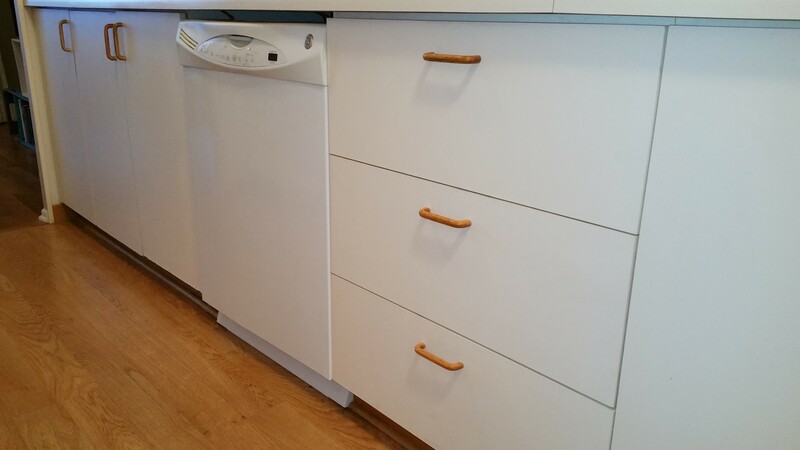 You have hit the jackpot of kitchens.